A fire broke out in a four-storey commercial building in suburban Bandra on 11th October, 2014, no casualties were reported. 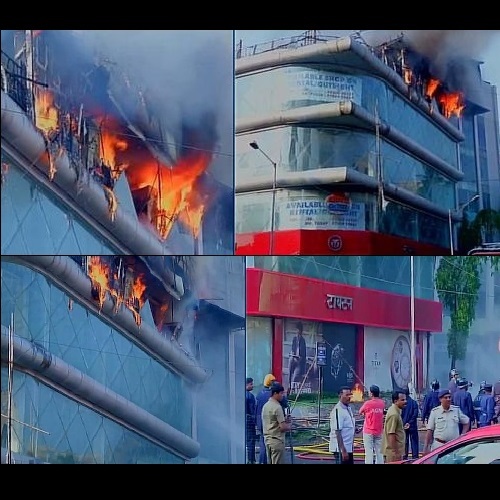 According to the fire brigade officials, the fire broke out on the fourth floor of VN Sphere Mall on Linking Road in Bandra, and later spread to the terrace of the building. “Fortunately there were no casualties as the fire broke out early morning when there was no one in the building,” the official said. The fire was brought under control after two hours,” a fire brigade official said. The cause, apparently, was a short circuit at a restaurant on the fourth floor. A makeshift tent on the terrace also caught fire. 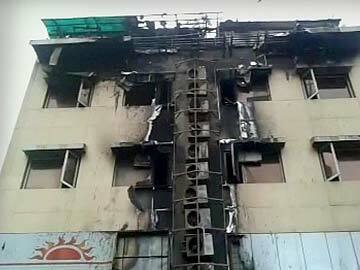 One person was killed and 30 others were injured in a major fire at a hotel in Navi Mumbai’s Vashi. Out of the 30 injured, 20 people are reported to be in a serious condition, they said. A short circuit in one of the AC ducts of three-storey Hotel Wanton House apparently led to the massive blaze at the premises, located in Sector 26 on the Palm Beach Road of Vashi, they said. Fire brigade officials said the blaze was brought under control after over four hours of hectic fire-fighting. “A lot of time was required to evacuate those trapped in the hotel and bring them to safety. Since the fire was a major one, getting the trapped to safety amidst the smoke was an uphill task. We also did not have a blueprint of the hotel initially which added to the confusion”.